SALT LAKE CITY (AP) — Utah lawmakers gave initial approval Monday to a proposal that would set aside $2 million to sue California over rules that make coal-fired power more expensive. The proposal from Rep. Mike Noel, R-Kanab, passed through a subcommittee with only one Democratic lawmaker raising objections. It marked the latest attempt by the state’s GOP leadership to help a struggling coal industry that is key to economies in several central Utah counties. California utilities pay an extra $15 per megawatt hour to buy power from Utah’s coal-fired Intermountain Power Plant. “They’re trying to put their values on us,” Noel said. 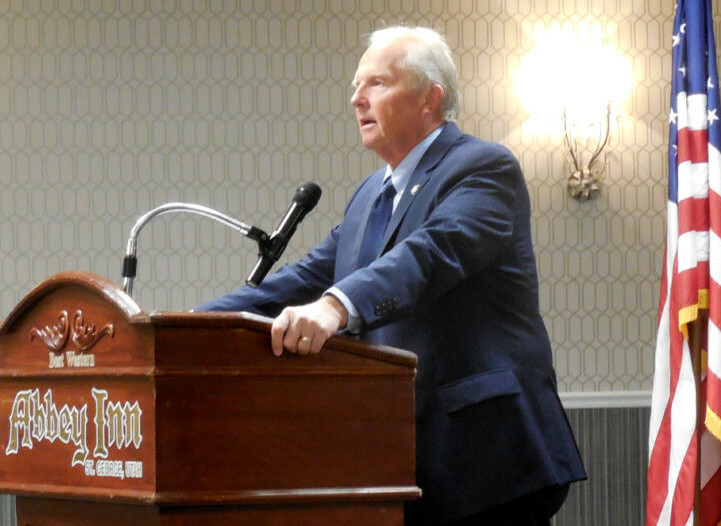 Sen. David Hinkins, a Republican who represents several of the state’s counties most dependent on coal production, called on his fellow lawmakers to make a stand. California regulators and environmental groups disagree. California Air Resources Board spokesman Stanley Young said in an emailed statement that the state’s system is not singling out Utah. “California’s cap and trade program is designed to reduce climate-changing gases and rewards electricity with lower carbon pollution used by Californians — regardless of where that electricity comes from,” Young said. The system has survived previous court challenges from business leaders in California. Sen. Jim Dabakis, a Democrat from Salt Lake City, questioned why the coal companies aren’t paying for the lawsuit and pointed out that a Salt Lake City law firm that testified the case is winnable is biased because it will get paid to win the case or lose it. Lawmakers who several years ago backed a Utah plan to spend $53 million in public money on a coal shipping terminal in Oakland, California, say the proposed expansion would allow them to ship coal to Asia. But the Oakland City Council voted to ban coal shipments, leading to a court battle that is awaiting a ruling from a federal judge in California. The new proposed money was inserted into an appropriations bill by the Natural Resources, Agriculture and Environmental Quality Appropriations Subcommittee and now moves on to an executive appropriations committee. Ashley Soltysiak, Utah chapter director for the Sierra Club, said the organization is firmly against a proposal that would keep valuable funds from state programs that need it, like air quality measures. Larry Johnson, mine manager at Alton Coal Development, testified in support of the proposal, saying coal production is down 40 percent since 2015. That has led to a cutback in hours for mine workers. And this IS the truth. They aren’t singling out Utah in particular. They are screwing over all businesses that do business in California. It will never happen, but I’d sure like to see every business that gets screwed over, just refuse to do business with California. When those grocery store and WalMart shelves are empty maybe then, the people will stand up and tell the bunch of tree huggers and politicos to take a hike. Noel and others who are trying to keep Utah’s coal areas on life support are encouraging old timers in those areas who remember back to the sixties and before when Utah ranked 10th in the nation in coal production and first west of the Mississippi. That was then, and this is now. Relying on silly ideas that waste our state’s tax dollar to turn back the hands of time is not a good plan. When will citizens in these coal areas demand more from their leaders by way of creative leadership for the future? Sen. Jim Dabakis, a Democrat from Salt Lake City, asked the key question: Why aren’t the coal companies paying for the lawsuit rather than having the state pay? He also pointed out that a Salt Lake City law firm that testified the case is winnable is biased because it will get paid to win the case or lose it. My brother who lives in Southern California pays over four times what I pay for electricity (per kilowatt hour) then I do here in Utah. I sure appreciate coal generated power for its low cost. And guess what my brother even with all of California’s crazy environmental restrictions still has to breath dirty air while in our region air is very clean. What gives? its called population. UT has a tiny population compared to CA. That is quickly changing. Wasting taxpayer money on this lawsuit is particularly ridiculous because coal mining is dying because of forces much greater than California regulation. Abundant cheap natural gas is destroying most markets for coal, and coal mining throughout the country is in serious decline. This is a classic example of whipping a dead horse.